Finally we’ve beaten Swansea City in the Premier League. After four successive defeats against them, most of them undeserved, we beat the struggling Welsh side, known as the Jack Army 2-0 at the Turf yesterday with both Jack Cork, the one Jack they didn’t want in their Army, and Ashley Barnes scoring first Premier League goals of the season. Both goals came in the first half. Cork’s opener just before the half hour was another goal built from the back as it went from goalkeeper to goal scorer without a Swansea player touching it. And five minutes before half time, Barnes unleashed a superb strike to double the advantage and that, we knew, was it with Swansea never looking likely to get back into the game. With Liverpool and Arsenal both winning, the three points have kept us in seventh place in the table, behind that pair on goal difference, but our lead over eighth place is now seven points although the next two, Brighton and Watford, are still to play. I don’t know why, but I spent the morning with a nervousness about the game, one that I certainly didn’t have two weeks ago as we travelled down to Southampton. Maybe it’s because we’ve made such a start to the season that we are now favourites in some games. But once on my short journey to the Turf, that all went and I was far more relaxed. I saw Andy Lochhead and Willie Irvine chatting outside and thought that might be an omen for some goals. As it was, one of our strikers, Chris Wood, was ruled out, as expected, although Sean Dyche confirmed after the game that he was fully fit but not prepared for a Premier League game because of the travelling he’s had to do. It must be a long time since we were in a position where we could make such a decision. Despite scoring the winner at Southampton, Sam Vokes was again on the bench; Ashley Barnes got the nod so the team was exactly the same as that which had started in the previous home game against Newcastle. It probably took us five minutes or so to get into our stride but once we had it looked very much what it was, a team at the top end of the Premier League against one struggling at the bottom. The first real attempt at goal came from a rare Lukasz Fabianski mistake. His poor kick fell nicely for Steven Defour some thirty yards out and with the goalkeeper out to the right hand side of his goal. Defour’s shot was on target but Fabianski got back to save comfortably. Defour, who I thought turned in another outstanding performance, was in the thick of it again. Fabianski saved his shot from the edge of the box and as Jeff Hendrick pulled the trigger as it rebounded to him, Alfie Mawson got in a superb block at the expense of a corner. That corner saw me jump up thinking we’d scored for the first time in a few minutes. I was convinced the referee was going to look at his watch as goal line technology kicked in, but Fabianski actually saved well. It would have been an own goal too from penalty cheat Martin Olsson. Soon after it was almost a repeat, this time Matt Lowton, fed by Defour, crossed to the far post. Again I thought it might have gone in but again Fabianski had saved, this time to deny Barnes with a back post header. We were so well on top and a goal just had to come. It duly did with twenty minutes on the clock and again it was one of those goals that a lot of the pundits don’t think we score. It might not have been the 24 passes we saw at Goodison, or the 17 passes that led to the winner against Newcastle, but it was another superb passage of play. “If anybody feels Burnley Football Club don’t play good football, just have a look at this goal,” former Republic of Ireland international Keith Andrews said during the Sky commentary. It started from Nick Pope in goal and eventually the ball got out to Robbie Brady on the left who moved it forward to Hendrick. Hendrick played it inside for Cork who moved forward and slipped the ball into the box for Barnes and he played a first time pass back out to Brady. The Irishman’s cross was perfect for Cork, who had continued his run, and he headed the ball into the corner of the net. Paul Clement still maintains he doesn’t regret selling him. Cork is now an England international and he’s added his first Burnley league goal of the season against his former team. Swansea gave no inclination they were going to get back into the game against this Burnley side who were now so much on top and it was no surprise when the second came five minutes before the break. There was no flowing move from back to front this time. It all started when Defour won the ball back for us from Sam Clucas in the centre circle. He played the ball to Hendrick whose inch perfect pass into the box reached Barnes. The finish was stunning. I wasn’t certain it had gone in at first given how far back out it bounced but it really is a sensational finish from the striker, the shot going in inches away from the near post with Fabianski absolutely helpless. Barnes more than justified his inclusion with a terrific, Barnes like, performance and it saw him score his first goal on the Turf in open play in just over a year, since he scored that sensational stoppage time winner against Crystal Palace. Swansea did get a shot in right on half time; it was blocked by James Tarkowski and that brought an end to a half that we’d dominated. As the player went off I was convinced this game was already won. Swansea brought on Wilfried Bony at the start of the second half. They did threaten to offer a bit more and they did get in a couple of efforts that flew either over or wide yet by then we might have been three up when Hendrick got into the box only to see his effort smothered by the onrushing goalkeeper. It wasn’t their day and they saw Tammy Abraham stretchered off having suffered a back spasm. We did get a third goal but it was wrongly ruled out by the assistant referee for offside. It would have been a special goal too; Tarkowski’s first for the club and he was the only outfield player to be involved yesterday who hasn’t scored a goal for us. Brady’s right wing corner was flicked on for Tarkowski to head onto the bar and then turn in the rebound. Both Stephen Ward and Sam Vokes (on as a substitute) were in offside positions but Tarkowski was very definitely not. Matt Lowton, playing as well as he’s done for us, did make a double block earlier and right at the end we saw Pope make his first save when he caught a ball easily above his head just before former Burnley player Nathan Dyer elbowed Cork. To be honest, I was surprised he could reach; he got away with a yellow card. We had been the best team in this contest by some considerable distance and it gave all us Clarets another good weekend. In my match preview I referred to the last time we had won three consecutive top flight games, those coming in December 1974 and January 1975 against Carlisle, QPR and Luton. For the record, we won the first of them 2-1 with goals from Leighton James and Doug Collins and followed it with two 1-0 wins when the scorers were Ray Hankin and Billy Ingham. It was the fourth and last time we won three on the run during that season. Embed from Getty ImagesThis team we have now continues to break records and long may that continue. It goes without saying that this is the best start we’ve ever made to a Premier League season and our current points total of 22 is now just one short of the total we’d accrued by New Year’s Eve in 2016 and that was from 19 games. Sean Dyche said yesterday: “It’s important to remember that these times are to be enjoyed,” and he couldn’t be more right. When I look at the six teams above us in the league, and the sheer size of those clubs, I wonder just how much further we can go. But I can’t believe there is a Burnley fan anywhere who isn’t enjoying what’s happening right now. We’re even beating Welsh clubs now and that’s not something that happens very often. It’s been rare over the years and the last time we beat a Welsh club was on Swansea’s visit in the 2010/11 season when an Ashley Williams own goal was followed by a Jay Rodriguez goal to beat them 2-1. It’s Arsenal next. They were very impressive yesterday and I certainly them to provide us with a more difficult game than Swansea. 22 points from 12 games – yes, that’s right – 22 points from 12 games – I have to keep looking to believe it’s true. Yes, these times are to be enjoyed. I don’t want to get too carried away but I do think there is more than a good chance of there being Premier League football at Turf Moor again next season. 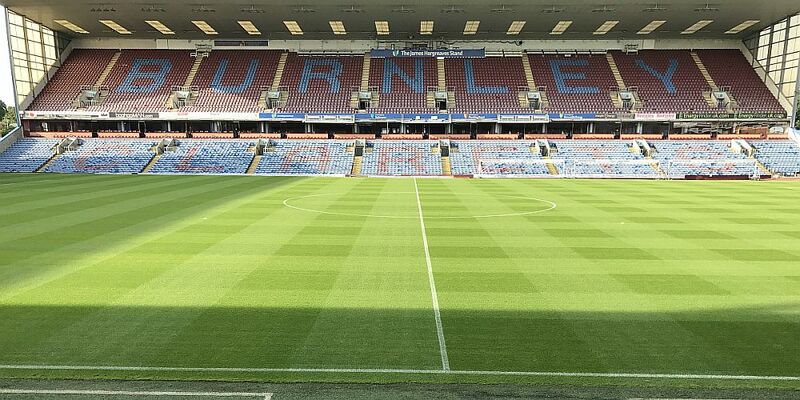 Burnley: Nick Pope, Matt Lowton, James Tarkowski, Ben Mee, Stephen Ward, Johann Berg Gudmundsson, Steven Defour, Jack Cork, Robbie Brady, Jeff Hendrick (Sam Vokes 80), Ashley Barnes. Subs not used: Anders Lindegaard, Kevin Long, Charlie Taylor, Ashley Westwood, Scott Arfield, Nahki Wells. Yellow Card: Stephen Ward . Swansea: Lukasz Fabianski, Kyle Naughton, Federico Fernandez, Alfie Mawson, Martin Olsson, Renato Sanches, Leroy Fer (Sun-yueng Ki 70), Sam Clucas, Nathan Dyer, Tammy Abraham (Luciano Narsingh 82), Jordan Ayew (Wilfried Bony ht). Substitutes: Kristoffer Nordfeldt, Mike van der Hoorn, Tom Carroll, Wayne Routledge.